Now that we have explored the activities, sights and experiences to be found in the amazing Florida Keys, it’s time to talk about the food, drink and other things unique to the Keys. standard crust and topped with meringue, the other with a graham cracker crust and topped with whipped cream. 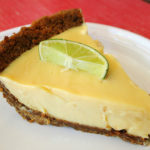 Although it can be found anywhere, two excellent places to get a great Key lime pie are Kermit’s Key West Key Lime Shoppe and Mrs. Mac’s Kitchen. This time we started with dessert. 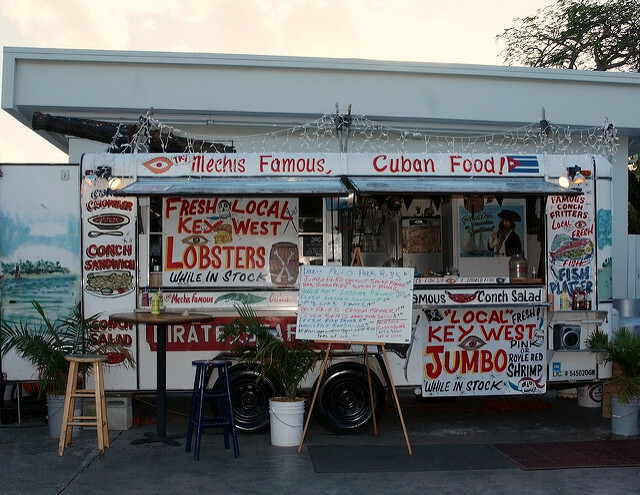 Now let’s move on to the amazing seafood options the Keys have to offer. 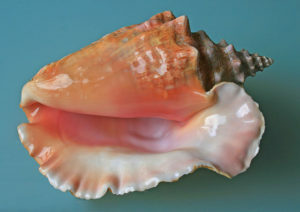 Of course the ‘Conch Republic’ is known for conch. Pronounced ‘konk’, it is a large sea snail. 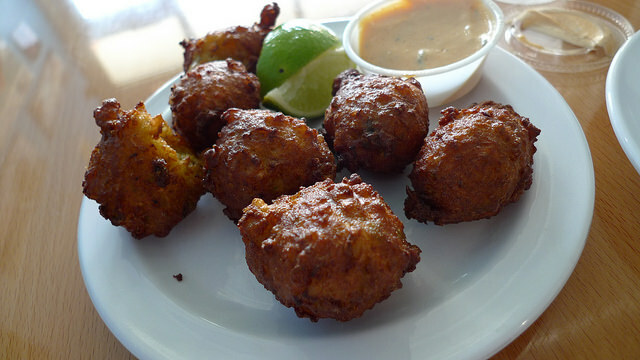 The indigenous queen conch is most frequently enjoyed in the form of fritters, chowder or a salad. Try Sharkey’s on Key Largo for some outstanding conch fritters or chowder. Key West pink shrimp are harvested from the Dry Tortugas and surrounding areas. Mild and sweet, these pink shrimp are easily identified by a red dot on their shell. The best time for these shrimp is between January and June. 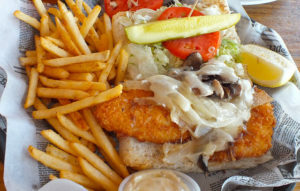 The Schooner Wharf Bar in Key West and the Islamorada Shrimp Shack are great places to go to enjoy them. 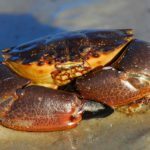 The massive, sweet and succulent stone crab is harvested between October and May. Only the claws are harvested. The crabs are then tossed back into the water, where their claws regenerate, making them a renewable resource. They can be served warm with butter or cold with a mustard sauce, or in any number of ways. Try finding them at Keys Fishery Restaurant in Marathon, which is one of the top suppliers of stone crab. The spiny lobster on the other hand, has no claws. Also known as the Florida lobster, its season is from August to April. 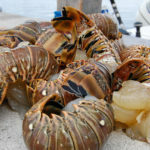 A & B’s Lobster House in Key West and the Hungry Tarpon Restaurant on Islamorada are great destinations to enjoy this delicious crustacean. 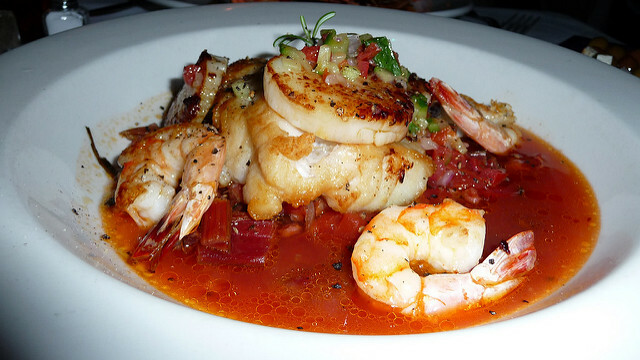 On Stock Island, you can find the Hogfish Bar and Grill, known as the best place for Hogfish, which has a light, delicate scallop like flavor. In the beverage category, mention should be made of the Rum Runner, which originated at the Tiki Bar of the Postcard Inn Beach Resort and Marina at Holiday Isle on Islamorada Still on the menu there, it contains a potent mixture of rum, blackberry brandy, banana liqueur, lime and grenadine. The island profiles cocktail is coming up, but first a look at some other ‘Key things’. The Key deer is a shortlegged breed of deer found in the Keys. Presently numbering only around 1,000, they are the smallest US species of deer. When fully grown, they are about the size of a large dog. The National Key Deer Refuge on Big Pine Key is the best place to find them. The shallow waters near the shores of the Keys are home to the large, air breathing, herbivorous manatee. These creatures can grow up to ten feet in length and weigh from 800-1200 pounds. They consume around 150 pounds of plants in a day. Among the incredible marine life one can find in the Keys, the manatee is a definite highlight. Items you may want to look for when visiting to take home as souvenirs or to give as gifts include handmade sandals, jewelry, shells and Key lime products. Fresh hand rolled Key West cigars can be found at over a dozen small shops. 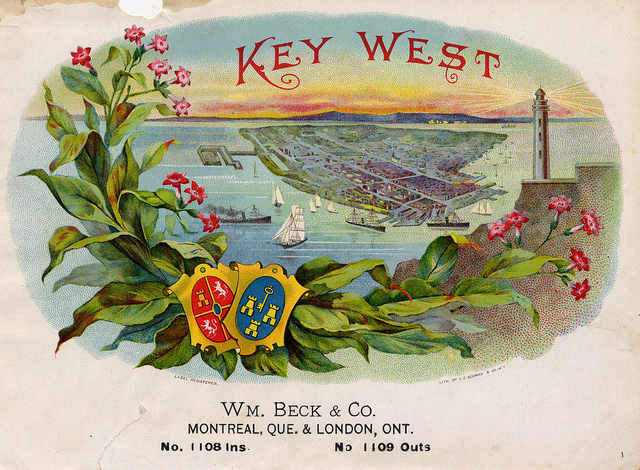 And don’t miss the rum distilleries or Cuban coffee stands scattered around Key West. 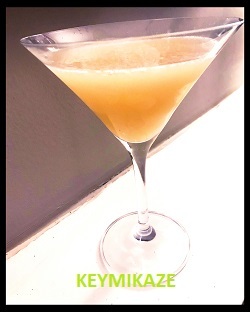 To finish up our exploration of the Florida Keys, let’s reveal the latest Island Profiles cocktail – the ‘Keymikaze’. 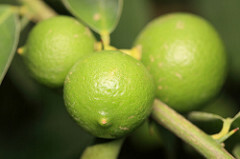 Based on the Kamikaze cocktail, which is based on the Kamikaze shot, this version uses dry curacao instead of triple sec and key lime juice. We used Pierre Ferrand Dry Curacao, one of our favorite orange liqueurs and bottled Key lime juice, which was easy to find. Of course fresh is probably better, but this turned out really nice. Shake all ingredients together with ice and strain into a cocktail glass.